Summer is coming,are you ready for showing your beautiful figure!! Let's just go out to have an exciting game or do some sports right now! !It goes without saying that taking exercises can build up our physical strength,Sports can also help us relax after a whole day exhausting work.Whenever you do some exercise,you can get a whole new refresh feeling through your body.It really does good to us! So here comes a question,what to wear when going for sports? ?Don't worry,CHICUU offers some sporty style collection for you,tunic dress,sports tops,leggings and sports accessories,up to 50% OFF now!! 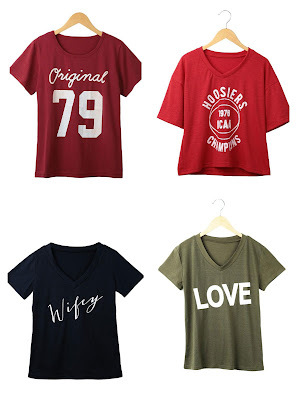 Which one do you like?Come on and pick a sporty outfits for yourself! !